BodyPlex Fitness Adventure, otherwise known as Bodyplex, is a fast-growing health club chain. 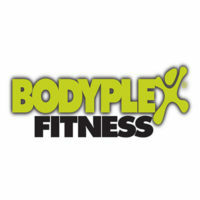 Bodyplex has about 14 locations. A new branch is consistently added every year. The health club chain offers full-service fitness centers spread throughout Georgia. It is best known for its Members First policy, providing members with the most modern equipment and access to a wide variety of classes. Bodyplex prides itself in being Georgia’s fastest-growing health club chain. It is currently headquartered in Buford, Georgia. It’s most notable locations are found in Alpharetta, Grayson, Hiram, Hamilton Mill, Oakwood, and Woodstock. The health club chain has also opened its doors in Caparra, Canovanas, and Guaynabo in Puerto Rico. Their success lies in their continued promise to keep on raising the bar in the fitness industry. Bodyplex is open daily and operates for 24 hours. Additionally, the health club chain also boasts state-of-the-art equipment, including those for cardio and strength training. Benefits Of Joining Bodyplex / Why Members Like Bodyplex? Members enjoy free consultation with personal trainers. They also get their personal profile encoded into the gym’s tracking software for easy access to progress reports. Bodyplex also provides members with access to The Training Grounds which is suitable for small groups and team training sessions. Members also enjoy access to The Grind, its cross-training club. All personal trainers at Bodyplex are expected to be familiar with operating the various equipment at the fitness center. They are regularly sent to trainings and learning opportunities to ensure the proper delivery of the gym’s mission. Bodyplex seeks personal trainers who are driven towards delivering excellence, and to develop a nurturing atmosphere. It believes that the secret to success lies with enthusiastic and courteous staff. A Bodyplex membership fee is slightly more expensive than other 24-hour gyms in the area. However, its modern amenities make up for its pricey rates. All locations contain clean and spacious shower areas and locker rooms. Exercise rooms are also big enough to accommodate members and guests even during busy hours. The gym only offers the latest training equipment, and staff are friendly and well-informed. Various classes are available to choose from to help each member meet his fitness goal. Bodyplex provides a kid-friendly. The daycare offers activities and games where children can interact with each other. Activities offered at the daycare includes video games and a game cube. The health club chain caters to people of different lifestyles and of different ages. It is recommended for young professionals, students, and couples with children. Bodyplex offers single and dual membership types. The single membership type has a monthly fee of $27.00 for a 12-month period, or $22.00 for a 24-month period. The dual membership type, which is good for two persons, has a monthly fee of $52.00 for a 12-month period, or $37.00 for a 24-month period. The initiation fee for single membership is at $75.00, while the same is at $100.00 for dual membership. The gym does not charge any cancellation fee. Members may also pay additional fees if they wish to join group classes. There is no mention of varying membership fees for different age groups. The health club chain allows potential members to try their facilities for free for three days. They gain access to group exercises and personal fitness trainings. During this trial period, guests can also enjoy access to all facilities and equipment. Access to High Intensity Interval Training (H.I.I.T.) is also available, depending on the location. Bodyplex offers state-of-the-art equipment, accommodating staff, and 24-hour availability. Its Training Grounds may be customized in accordance with the group’s fitness goals. It is available for individuals and small groups of 2-4 people. Group exercise classes are also available. These classes include yoga, cross grind, The Bump, TRX, Knock Out, and Weekend Warrior. Classes are also available to strengthen the lower and upper bodies. The gym also offers an entertaining childcare center called Kidsplex. Kidsplex is open Mondays through Fridays from 8:00 am until 8:00 pm, and from 8:00 am to 1:00 pm every Saturday. Equipment at Bodyplex include treadmills, stationary bikes, and elliptical machines. Specialty studios for certain exercise plans are also available, like the Women’s FitStudio and the Spin Studio. For more information on Bodyplex membership and cost, visit official site .